Logo for a Native Soul, a film & photography duo based out of OKC. Their passions lie in capturing and creating accurate representations of the world around them. Metallic linen paper: invitation, reply card, program, & reception map. 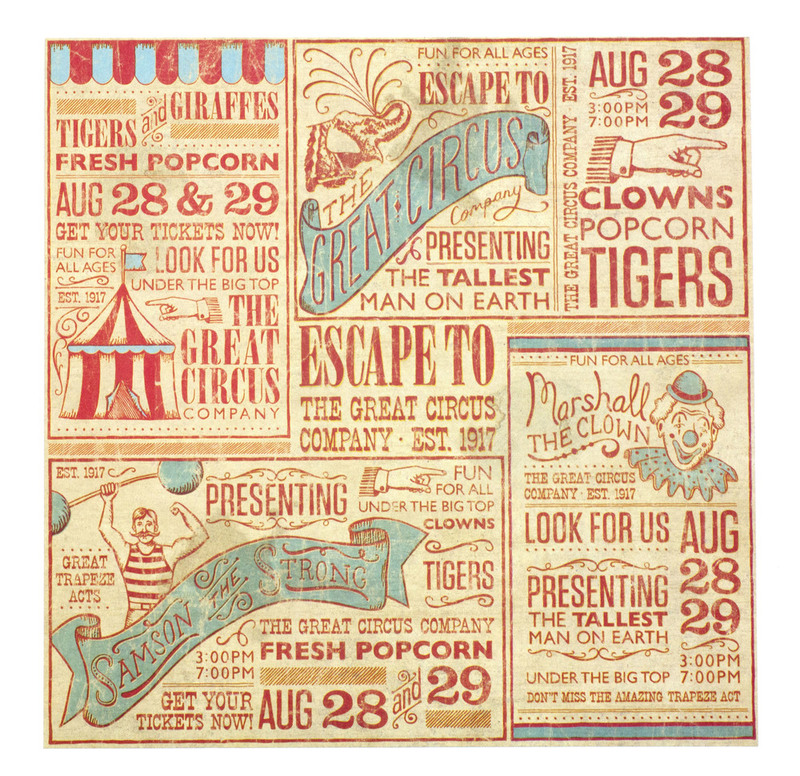 Exclusive art collection design for Hobby Lobby, was inspired by vintage circus posters. This collection features my typography & illustration. It has been utilized on several products including, scrapbook paper & home decor. Designed for Hobby Lobby's Face Book page to support Oklahoma family during the 2013 tornados. Packaging line is for Hobby Lobby's colorful line of party decor that allows the customer to shop by color or mix & match for their party. Illustrated spring florals & bugs with a ruched edge. Designed for Hobby Lobby's, Brother Sister Design Studio, fabric line. This original art collection was inspired by my love for mid-century modern designs. These double sided pendants where designed for Hobby Lobby's Charm Me jewelry line. Branding for Highland Cattle Company. A company that provides lean and healthy beef produces.